If you attended any of our events in 2002, please let us know what you thought. 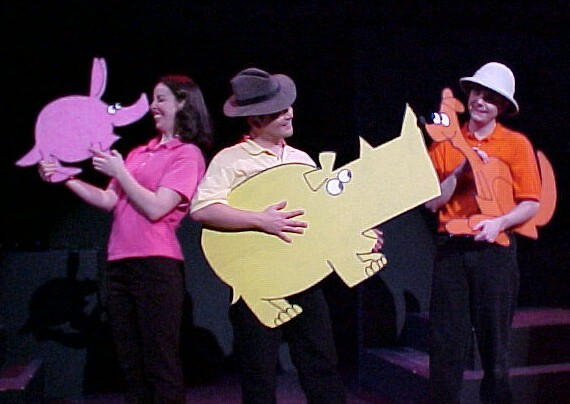 Amy Jo Diebold, David Ige and Dom Zook performing "Rufus Xavier Sarsaparilla" in ReAct's Schoolhouse Rock Live! Gordon Hendrickson as Larry and Shawn Yates as Anna in ReAct's Closer. Marc delaCruz as Mike and Eric Mordhorst as Kevin in ReAct's The Day They Shot John Lennon.